Ideal for maintaining and charging 36v Battery Packs, but not meant to replace your normal charger for high amp/hr battery packs. 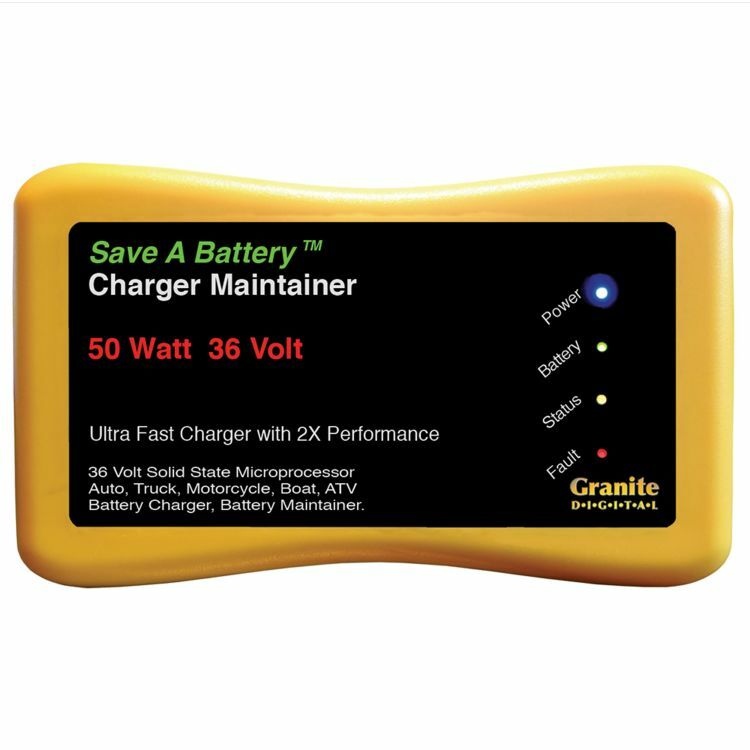 The Battery Saver™ 2365-36 is a 36v 50 Watt Charger, Maintainer & Cleaner designed to work on 36 Volt vehicle battery systems. It's state-of-the-art micro processor provides safe, fully automatic maintaining for extended periods of time. The 50 Watt design is the most powerful unit Battery Saver offers while still being extremely compact and very easy to use. 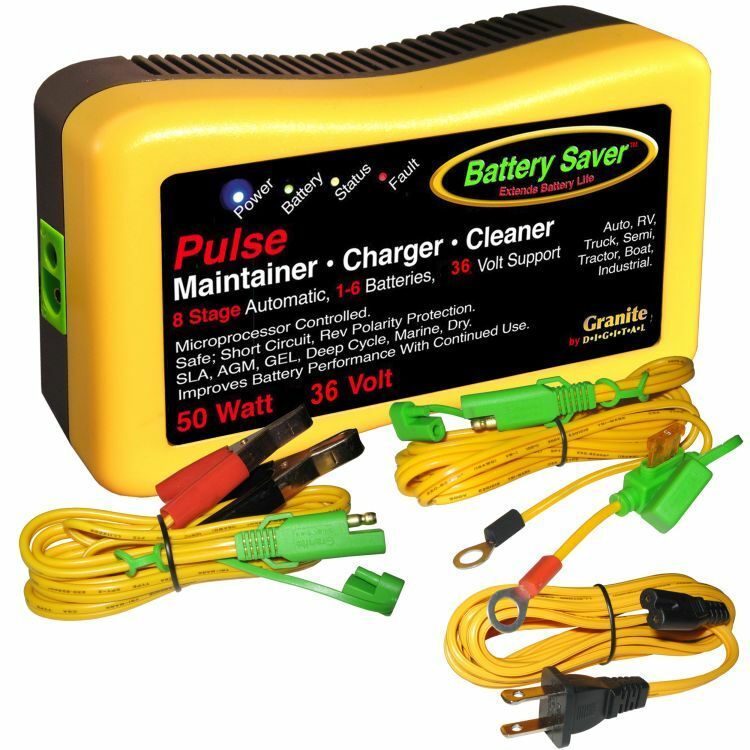 The Pulse Cleaner will remove lead sulfate from your battery's plates while maintaining, giving you a much healthier battery for longer. The 36 volt Battery Saver is ideal for most 36 volt systems such as maintaining golf cart batteries in the off-season. It will keep your battery system fully charged and in peak condition for when you need it. Do you own the 2365-36? Please, tell us what you think about it. It helps us provide you with better products. Please note that it may take up to 72 hours for your review to appear.